The Center for Digital Education"s 2015 Market Forecast for K-12 and higher education finds top trends that are driving the education technology market. The Center for Digital Education (CDE) conducts annual surveys and analyzes the technology trends in K-12 and higher education to share with our partners. CDE surveys our Special Reports audience and Education Exchange participants, including education CIOs, district superintendents, curriculum specialists, academic technologists, chancellors, deans, presidents and IT managers. The Shift to Digital Touches Everything. K-12 and higher education are responding to similar market forces. The widespread use of mobile devices on campuses, the increase in digital content and the need for more personalized learning are changing how students learn and how classes at all levels are taught. The K-12 IT market is growing at a faster rate than higher education as the K-12 market is investing heavily in digital content solutions, networking and mobile devices. However, the higher education market is making more strategic investments in network infrastructure and instructional video solutions. Both school districts and higher education institutions are looking to move toward more managed services for their technology needs. Over half of K-12 and higher education respondents to a recent Center for Digital Education Exchange survey plan to upgrade their network in the next year. It is no surprise that a lot of educational institutions and school districts are getting caught up in the newest technology, but don"t have the infrastructure to support it. Education IT leaders are looking for solutions and guidance about how others have solved their infrastructure issues to move teaching and learning into the digital world. CDE's next special report is An Infrastructure for the Future: Building a Strong Foundation for a Scalable Education Environment . This report will share solutions, best practices, and research about what is working that offers a roadmap to help K-20 institutions create infrastructures that will support new technology initiatives well into the future. Editorial briefings for our 2015 reports are going on now and our experts are looking for input from companies with solutions to educators" infrastructure, big data and personalized learning challenges. Learn more about the editorial briefings here. The Transition to Digital Content Is Still in the Early Stages. While more than half of education institutions have done a test drive with digital content, just 22% have a complete strategy for digital transition in place. There is a tremendous amount of opportunity here as only 3% have completed the move to an all-digital content and curriculum environment. Education Relies on Industry Experts for Security. Cyber and data security are key investment areas for both K-12 and higher education. The vast majority of K-12 districts, especially smaller districts, do not have a full-time chief security officer, so they rely heavily on their ISPs and security vendors to fill this role. This is a critical concern, and schools are looking for more solutions in student data and privacy. A recent Center for Digital Education survey asked, "How confident are you that your students" data and privacy are protected with your current security protocols and technologies?" Fewer than 1 in 3 educators say they are very confident. 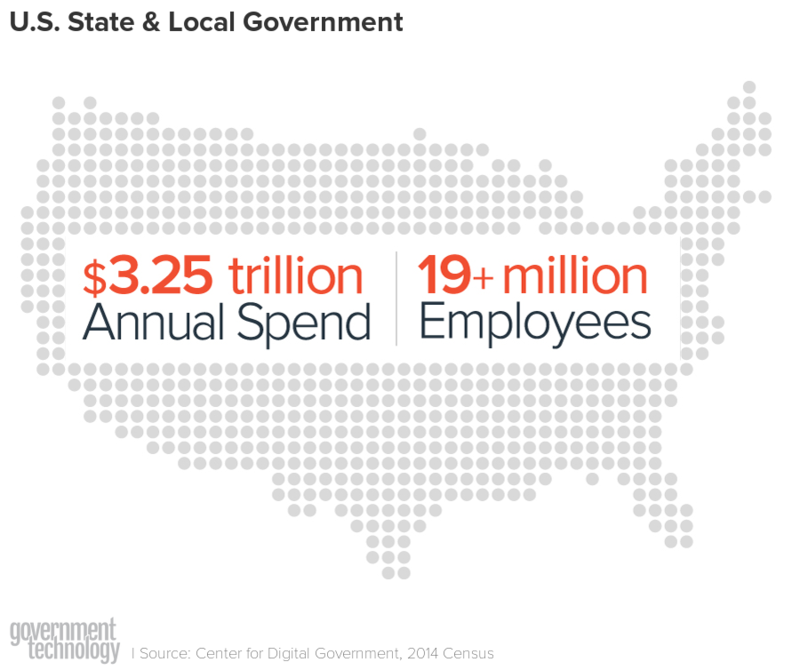 In 2015, Educational IT Spending Will Increase to nearly $21B. K-12 IT budgets have increased almost 3%, to $10.2B. Higher education IT budgets are relatively flat at $10.5B with modest growth expected this year. Per-student spending for K-12 is projected to increase 18% to $13,200 by 2022-23. New York"s Smart Schools Bond Act will invest $2B for K-12 classroom technology. Federal funding for higher education: Obama"s Community College Plan will allot about $60B over 10 years in free community college tuition to students who meet specific criteria. Tennessee and Chicago also offer community college scholarships for high school graduates. Priorities continue to shift as schools and administrators try new ways to use technology to enhance learning. More than Half of Educators Say Planning for New Technology Initiatives Takes 10 months or more. Educators are looking for private-sector partners who understand their goals and challenges and are willing to make the time investment to help them work through the planning process. The Center for Digital Education presented these findings and more data from our recent research in an Education Market Forecast webinar on March 13, 2015. We invite you to review the recorded webinar or take a look at the slide deck here. Please feel free to share these takeaways, the webinar recording or the PowerPoint presentation with your team. To join a private meeting with K-12 technology leaders from multiple school districts and hear about their priorities and upcoming projects, we invite you to sponsor or attend the Center for Digital Education"s Research Roundtable & Market Briefings - 18 events in key cities in 2015 . Also, be sure to check out other CDE events to connect with K-12 and higher education IT leaders from coast to coast. In addition to events, we are here to help you with your education market strategy - with an expert K-12 and higher education market research team, and Special Reports, custom events and publications that help you put your knowledge and solutions in front of educators at the vision stage of their buying process. Please let us know how we can help you. The Center for Digital Education (CDE) is a national research and advisory institute specializing in K-12 and higher education technology trends, policy and funding. CDE provides education and industry leaders with decision support and actionable insight to help effectively incorporate new technologies in the 21 st century. CDE is a division of e.Republic, the nation"s only media and research company focused exclusively on state and local government and education.